Amongst the crew that were on the boat were six scientists. Wyville Thomson was the chief scientist, being one of the people (along with Carpenter) that proposed the idea of the expedition. 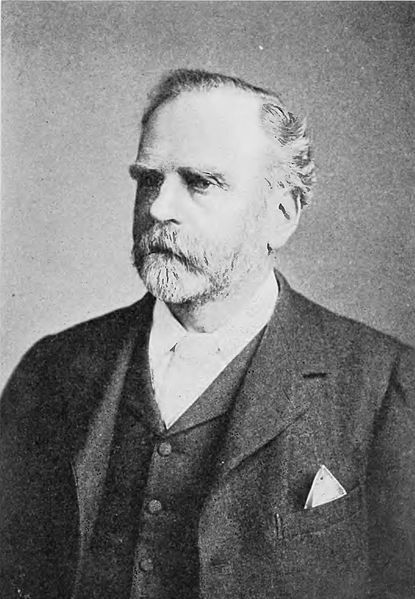 Born in 1830, the natural historian first lectured at Aberdeen before becoming chair of natural history at Cork and Belfast, followed by becoming Professor of natural history at the University of Edinburgh in 1870. In 1872 of course, he climbed aboard HMS Challenger. Upon his return he was knighted but sadly died in 1882, before the final 50 reports of the expedition were all published. If you read the reports you will see that at the beginning of many of them, there are touching notes about Thomson and his contributions to the expedition. John Murray was one of Thomson’s staff. He became one of the most famous scientists by being the lead author of the Challenger reports. 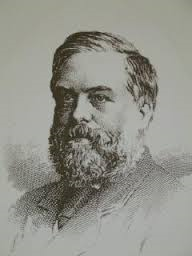 He was an extremely enthusiastic natural historian who, like Thomson, studied at the University of Edinburgh. He didn’t care much or work towards any subject that didn’t interest him – he didn’t even attend the exams of those. Henry Nottidge Moseley was another scientist on board, only in his 20s when the boat departed from Portsmouth. Moseley had a love for natural history but didn’t stand out at school. He went to a college in Oxford to do either a maths or classics degree but was desperately unhappy doing this – the only reason he went to do it was because of his father’s love of the subjects. Eventually his unhappiness was noticed and he went to do natural sciences instead – he came out with a 1st class degree and had a 4 year career in medicine before going on the Challenger expedition. Follow your heart, as they say! Rudolf von Willemoes Suhm was the youngest of the scientists, at only 25 when joining the Challenger expedition. After initially wanting to be a lawyer he found his love for natural history at university and after meeting Wyville Thomson in 1872, was asked to be a naturalist on board the ship. Tragically, he only lasted until August 19th 1875. At only 28 years old, Willemoes Suhm died of a skin infection, leaving the crew, especially Moseley and Buchanan (another of the scientists) devastated. Annotated main deck plan – the chemical lab was equipped by and for Buchanan to work in. Moseley equipped a zoological lab. The scientists worked incredibly hard on the ship and achieved so much over the years, using cutting-edge technology of the day – some built especially for the expedition. That’s all for this month, speak soon!